Making your own moisturizers isn't only thrifty but is also natural. Homemade moisturizers make great gifts. 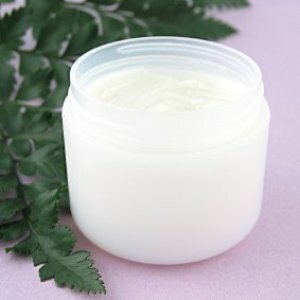 This page contains homemade moisturizer recipes. Almond oil makes the best, cheapest and longest-lasting moisturizer I have ever used. You use only a tiny bit and work it in well. I used to spend a fortune on the most expensive beauty products in the belief that the more I spent, the better the result and the purer the product. It was a well-known American beauty writer who told me that in truth the "purest" products on the market were Ponds Cold Cream for cleansing and almond oil for moisturizer. That was fifteen years ago and I've never looked back! I spend about $15 a year at the very most. Add 1 teaspoon soluble rose oil to 1/2 cup distilled water. Blend the rose water with the glycerin until you have a smooth, creamy mixture. Pour it into a clean bottle and cap it. Take 1/2 sunscreen (cheapo brand) and 1/2 moisturizer and mix together in the moisturizer bottle. Affordable moisturizer with sunscreen! I would like to make my own skin moisturizer. I would like to make it with lanolin and other products that I can buy in the health food store. I use a natural moisturizer that I add a few drops of essential oils to boost the aroma. It is good, and works well. What I want to make is a body butter that will work with sensitive skin, and help with winter chapping. I was hoping to find good recipes and be able to make and give it for the holidays. Thanks. Have you tried doing a Google search? There are lots of recipes for body care products available. I never did find one that fitted my needs for lotion but I found one for non prtroleum jelly and lib balm that I like. I"m thinking of making some too! A wonderful (but maybe too strange) lotion my Mom used to make is this: She'd save up the oil left from boiling chickens in a container in the freezer. When she had enough she's heat it and add in several handfuls of dried chamomile flowers and let it sit until cool. She'd then strain it and keep it in the fridge. No one we knew ever has scaly feet or dishpan hands! You could do the same using vegetable shortening. Scent it with essential oils. Hi, Thank you for all the advice! I had done google searches before asking the thrifty fun community. Make your own cosmetics.com is wonderful and just the info that I was looking for! Thanks castleberrycc! Go to the dollar store and buy a basic lotion with Shea butter in it, then add a jar of vitamin e facial moisturizer and a couple of table spoons of glycerin undiluted. After that, add some sweet almond oil, and a few drops of essential oil. Blend it up and put it in small containers. It's the best cream I've ever had for on the cheap side. You can get most of the ingredients at the dollar store. You can buy the glycerin at Wal Mart. It's cheaper there than at the craft store. 1) a ratio of water to glycerine works very well. Try a 1:5 ratio. Glyverine is hygroscopic which means it pulls or attracts water molecules from the air. I boil roses or lavender with water, strain, and then add glycerine to make homemade lotion for hands, face, lips. Smells terrific. Dip a couple fingers in it (it's not thick) and rub it on. Non greasy, feels great. 2)Extra virgin olive oil is cheap at discount stores (I buy mine for $3.99 at Aldi). It's a great facial, eye or body moisturizer, and it's cheap. 3)Buy a stick on 100 percent cocoa butter to keep in your purse at Dollar General for..only $1! Great for hands, lips, elbows, cheeks, etc! 4)I don't like to use it often, but petroleum jelly works in a pinch as a facial mositurizer. It wont' clog pores. We keep this for bikeriding as it's a necessity and it also stands in as a good, quick lip protectant. I think the other options I listed are better and more enviro-friendly. However, peoole have been using petroleum jelly for a century or more. I have a tiny jar I keep in the house. This Halloween, we rubbed it on the cut pumpkin surfaces to retard spoilage as they sat out on porch. Can't think of any other great uses. Try the top 3 suggestions, first. Cheap too! Lanolin isn't very good for sensitive skin. Does anyone have any suggestions for a good, but thrifty, daily facial moisturizer for the over 60 female? I used to use three things when my skin needed a moisturizer. I would wash with either dove or ivory hand soap, the bar kind you buy for the bath tub. Then I would take a small amount of olive oil and rub into my face, I would then tissue it off. Then I would wash with either noxema or dove soap. I love noxema for my skin but I ended up getting allergic to it on my face. Olive oil is great. I don't just leave it on my skin but I use tissue to softly wipe it all off. An oatmeal facial feels so good to me every so often. I just get a few oats in my hand and put water on it. Then I rub the oat water on my skin. Leave it for a few minutes and then wash it off. I tend to like using natural things if I have the chance to. Crisco is the greatest thing also. If you have spots on your hands or feet that won't stop being dry, you can rub this on and put on a glove or a sock overnight with a plastic bag underneath. Or you can just rub it in each night. I am getting ready to do a foot moisturizing treatment with it over night for my feet. You just use a small amount of crisco. It is very good for the skin. I once saw a lady on a talk show who asked the audience to guess her age. They all guessed around 60 and she was 90. She said the only thing she had ever used on her face was petroleum jelly. Get a bottle of glycerin and an eye dropper at the pharmacy. Fill a small bottle (like an empty spice jar) with any light, edible oil; grapeseed, olive, and canola are all excellent. After cleansing, splash water on your face to make sure it's good and wet. Smooth a drop of glycerin over your wet face and neck. If your skin is very dry, add another drop. Then follow with one or two drops of oil. Do this when you get out of the shower, too. I also suggest avoiding soap and commercial cleansers. Depending on whether I'm wearing makeup or not, I either use the oil cleansing method or just steam and exfoliate my face with a washcloth. But as several posters have said, you can get very good results with even more inexpensive lotions-is Suave still making a body lotion in the US? They have pretty good products at a very reasonable price. The important thing is to test a small out-of-the-way patch of neck and face before slathering whatever you choose. Oh yikes, I didn't once, and ended up with the worst break-out since high school! Doris Day was known to use petroleum jelly over her ENTIRE body. 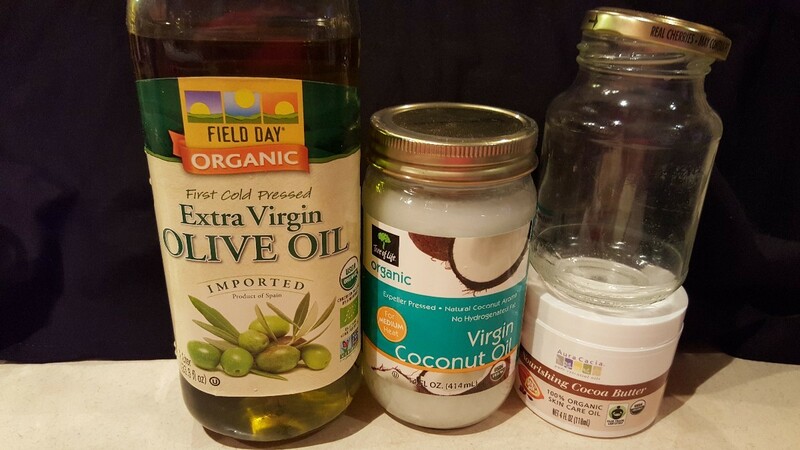 This combination of coconut oil, cocoa butter, and olive oil works very well as a skin moisturizer. A little goes a long way, making it economical as well. 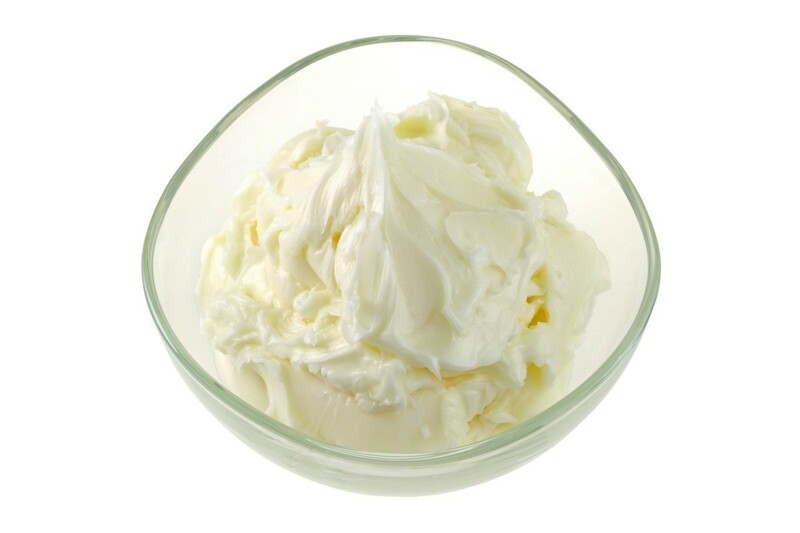 This page contains a cocoa butter cream moisturizer recipe. This natural oil is healthy for the inside and the outside of our bodies. 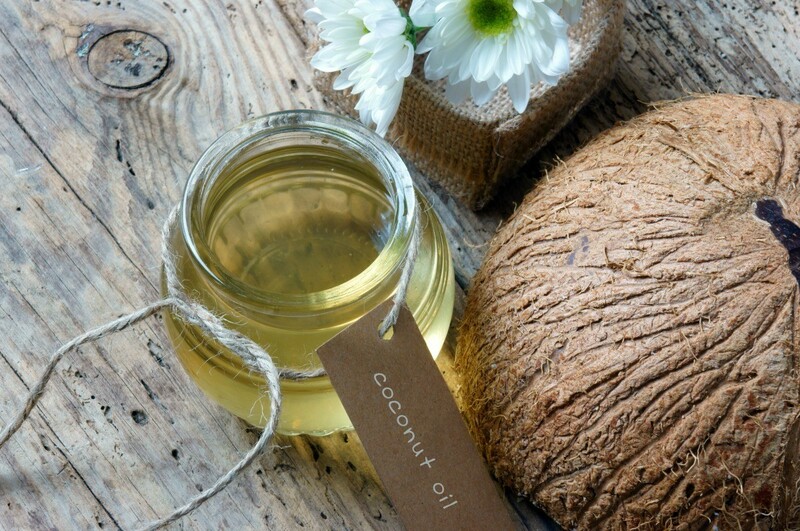 This is a guide about using coconut oil as a moisturizer. Instead of spending big bucks at the makeup counter trying to match your shade, create the perfect blend at home. 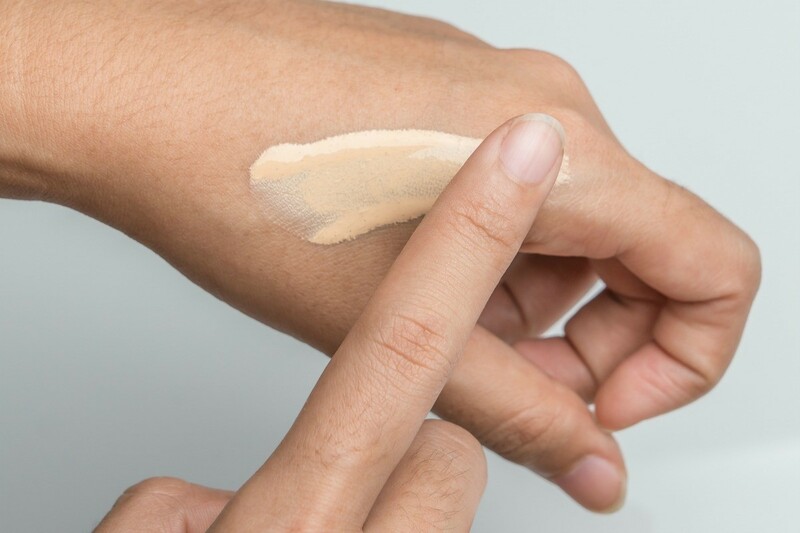 This guide explains how to make your own tinted moisturizer. Just about any oil can be used as moisturizer when used in moderation. This is a guide about using crisco as a moisturizer. Good scented moisturizers can be a tad expensive. Here is a simple way to make your own using inexpensive ingredients. Measure the water and glycerin into the bottle. Add 5 - 7 drops of essential oil. Cap the bottle and shake well. Apply the moisturizer to the skin with cotton balls or pour it into a spray bottle and spritz the body to apply. Wearing foundation during the summer seems to clog pores due to excessive sweating and humidity. To prevent clogged pores, you can make your own tinted moisturizer with two things you probably have in your make-up bag already. Mix some mineral powdered foundation into your regular moisturizer. You can vary the amounts of either the mineral powder or moisturizer depending on the coverage and color you are trying to achieve. This also works for making a luminescent moisturizer (the ones that give you a pearly glow). In that case, you would use some illuminating powder or pearlized eye shadow without glitter.